Parenting is a funny thing. They actually expect you to know esoteric details about your kid, like say, how to spell his full name and when he was born. During the first few days of a placement there's appointments to be had, forms to be filled out, and sleep deprivation to be endured. So while it wouldn't take long for the little guy's details to get lodged in my brain, I did needed the information quickly at hand, now. My first solution was to jot the details down in my pocket notebook. That was OK, but still cumbersome. Then I took a picture of my notebook and made it my phone's background. Again, an improvement, but I could do better. Finally I said screw it, and took a page out of my brother's book, and wrote it on my hand. The info was accessible, but not very durable. 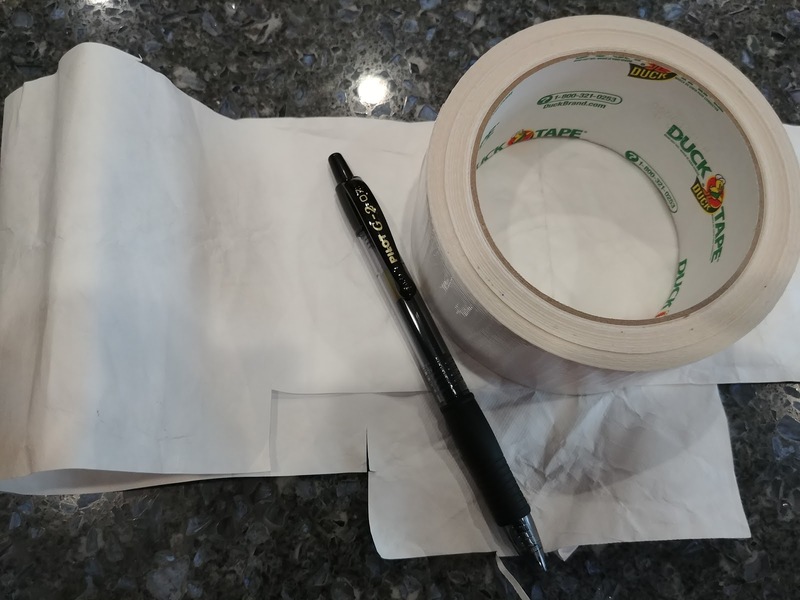 Finally, I cut a strip of Tyvek envelope, wrote the relevant information on it using a Pilot Gel G2 pen, and secured it to my wrist with a duct tape clasp. Basically, I made one of these. What's surprising to me is how well this little bracelet has held up. I've showered in it, slept in it, and had the little guy tug on it. All this, and the writing is still completely clear and the bracelet is still securely attached. If you need durable and waterproof solution, Tyvek, Duct Tape and the Pilot G2 are your friends. You may not opt to wear this in bracelet form, but still, it's a good combination of materials to know about.